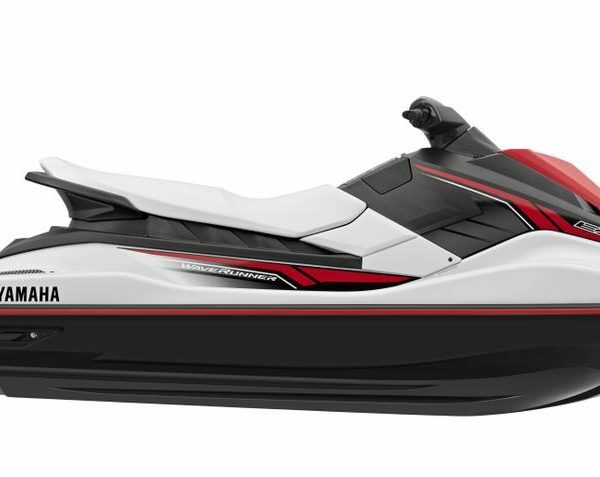 For 2017, Yamaha introduces the nEXt generation in family fun on the water. The all-new EX Deluxe is value-packed, featuring Yamaha’s award-winning TR-1 engine and innovative RiDE technology. The world’s first dual handlebar throttle control system is easy and intuitive. Pull the right lever to go forward, and the left lever for reverse. Pull them both, or in any combination, and the system reacts with precise control. Benefits include better handling, smooth deceleration and more control while turning. TR-1 ENGINE – This award-winning, lightweight 3-cylinder engine brings a fun ride with maximum fuel economy. 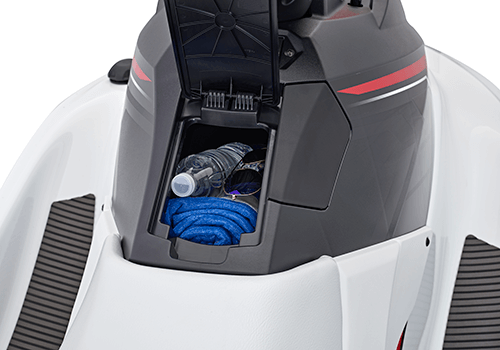 BIG STORAGE – The EX Series offers ample storage options in the bow, glovebox and under the seat. TR-1 four-stroke marine engine. The EX is powered by Yamaha’s award-winning TR-1 three-cylinder marine engine that is 40 percent smaller in size, 20 percent lighter in weight and provides better fuel economy than Yamaha’s previous four-cylinder Yamaha MR-1 engine. 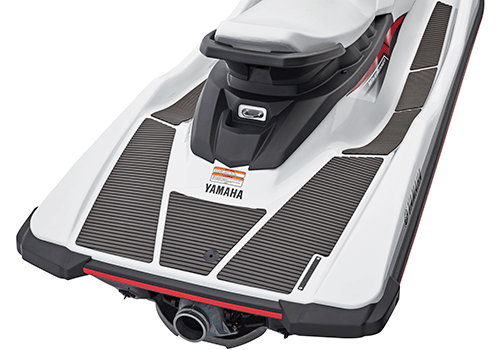 Yamaha’s Trademarked Visibility Spout®: A waterspout from the rear of the craft that improves the watercraft’s conspicuity.